AIANTA staff proudly display their Professional Certificate in Cultural Heritage Tourism. Increasingly, travelers are interested in authentic experiences that allow them to witness firsthand the lives and traditions of indigenous people. These communities, which are often struggling to find ways to increase their livelihoods, tourism can provide an economic incentive to sustainably maintain cultural and natural resources while fostering a sense of cultural pride. The Professional Certificate Program in Cultural Heritage Tourism, produced by AIANTA in partnership with the George Washington University, is designed to provide tourism entrepreneurs and community leaders with the tools to identify and develop the assets that most appeal to visitors—from cooking and crafts workshops to nature walks and visits to historical sites. Designed to be flexible and meet the needs of busy individuals interested in professional development and career advancement, the Professional Certificate in Cultural Heritage Tourism program is comprised of six courses. One course is scheduled per week during two three-week blocks with a one week break between the two blocks. Each course typically a course lecture, a guest lecture and selected readings. Participants are also required to contribute to a chat-style forum with other classmates as well as complete a written assignment at the end of each course. 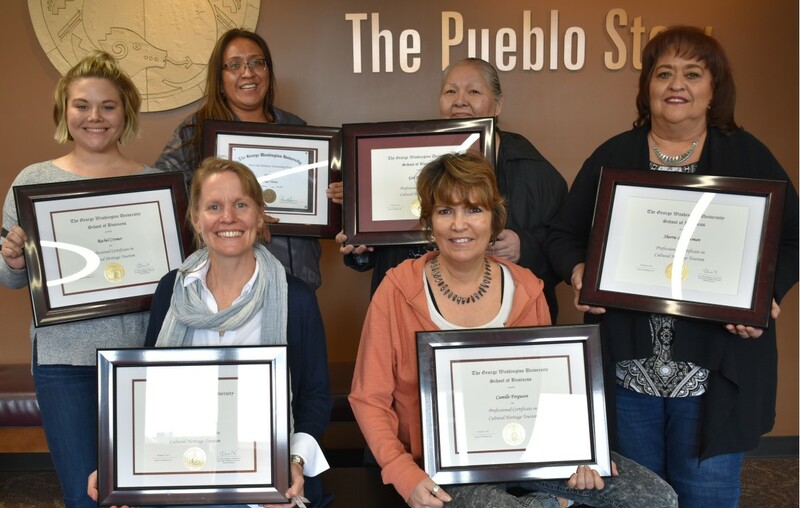 Upon successful completion of the six courses, students receive a Professional Certificate in Cultural Heritage Tourism from The George Washington University School of Business. This is a non-credit, non-degree program. Examine the range of cultural heritage assets that can help to attract and engage visitors, which in turn can drive economic development and cultural preservation. The curriculum covers best practices for planning, management and shared stewardship, which are all components of successful cultural heritage tourism. The rapid growth of tourism worldwide has created many challenges and opportunities for established and emerging destinations. This module focuses on conducting destination assessments to evaluate tourism potential and examining the costs and benefits of a sustainable tourism development program. Participants are introduced to the issues and challenges involved in developing a community-based tourism program in order to plan and implement their own program. Marketing plays a critical role that in tourism development. Learn basic promotional techniques that can help effectively raise awareness of a new or existing tourism product or destination. Outstanding customer relations is critical in the hospitality industry. Learn strategies that can be used to deliver the highest levels of service. Learn industry best practices on research, design, planning, coordination, risk management and evaluating a successful conference, meeting or event. As a global leader in tourism education and research, The George Washington University’s International Institute of Tourism Studies has been guiding businesses, communities, governments and nonprofits toward sustainability for thirty years. The Institute advances critical industry issues through thought leadership and research, and we offer professional-level certificate programs, courses and workshops in destination management and cultural heritage tourism. For more information, email culturaltourism@gwu.edu or contact Sherrie Bowman at sbowman@aianta.org or (505) 209-2479 or Glenda Toledo at gtoledo@aianta.org or (505) 433-2120.